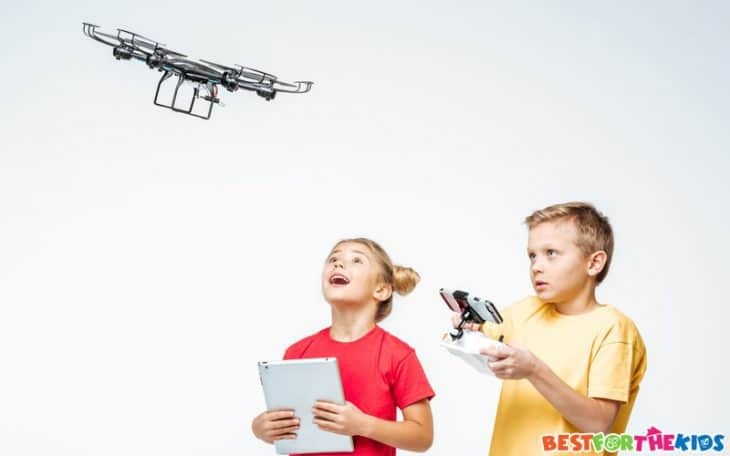 Remote controlled toys like RC planes have always been a favorite for kids, but with the recent growth in the popularity of drones, children are really in for a treat. Drones were originally used for military operations, but can now be used by children and teenagers to explore the world around them. Drones are more than just a toy that your child can fly around the garden. 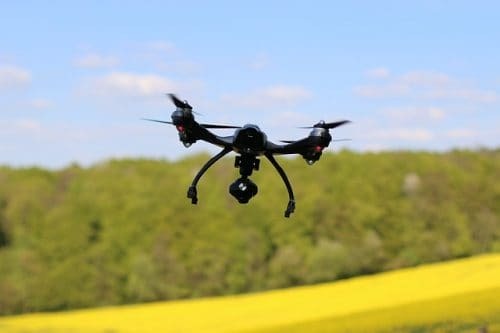 Many drones have on board cameras that they can use to capture images while in the air and gain perspectives that they wouldn't otherwise be able to get. Drones can also be used to race, and your child can have competitions with their friends to see who has the best flying skills. If you’re thinking of getting a drone for your child, there are plenty of options available. To help you out, here are ten of the best drones for kids today. The Holy Stone product is an excellent quadcopter for beginners. It is easy to handle once you get the hang of flying it. 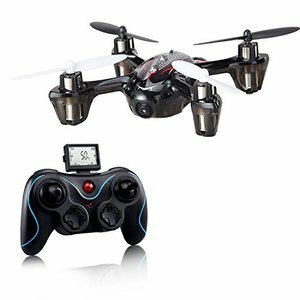 With three different speed modes, ultra-responsive motors, wind and shock resistance, and superb stabilization, this is the perfect starter drone for your teenager. The drone is pre-assembled, and all you need to attach are the blades and mount the batteries before you can get to flying. What's Great About It: The HS170 Predator Mini has a lot of great features, like its ability to do tricks, due to its 6-Axis Gyro Technology. It can flip and roll easily, adding excitement to your child's experience. While this drone is still a traditional quadcopter like the others on my list, the Wonder Chopper has a less intimidating appearance. The blade protectors allow your child to fly without worrying that they will damage the blades. The alternating use of black, grey and orange look great, and are easy to see when in flight. What's Great About It: This drone is virtually crash-proof, doesn’t require FAA registration, and is capable of performing tricks. It is great fun for all ages as it’s very easy to use and only weighs 0.1 lbs. 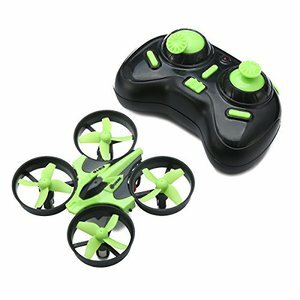 This tiny quadcopter is packed with great features that your child will love. It is small enough to fit in one hand, and has 6-axis gyro technology so your child can perform amazing stunts with it. This is also a great model for your child to learn on before moving to a bigger model. What's Great About It: This drone has a homing device, so if your child loses sight of the quadcopter, they simply press the button and it returns to them. The compass mode allows for easy navigation, making it simple for younger children to use. Dubbed as a “pocket drone”, the Quadpro NC5 is the ideal drone for indoor use. It’s a beginner model that is specifically designed for stunts that your kids will love performing. The two speed function allows your children to customize their tricks. What's Great About It: You will love its headless flight mode which quickly eliminates the need for positioning to achieve the correct orientation. This unit doesn’t handle wind very well, limiting its outdoor use, so it is the perfect toy for indoors. 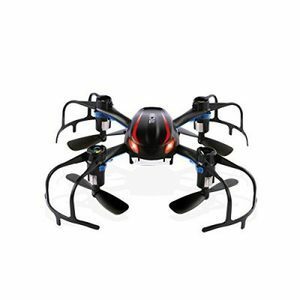 The Holy Stone quadcopter is great for teenagers and adults, and is the perfect drone for those who are looking to take aerial photography, as it comes with an HD camera on board. This drone has a hover function, so it will hold its position. What's Great About It: Considered as one of the best mid-range drones, it’s made with durable ABS elastic plastic, so it is very durable, which is perfect for beginners. It also comes with an additional battery pack, which is very helpful. 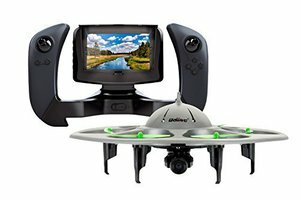 This drone has a unique appearance that resembles a UFO which will be a hit among kids and teenagers. The UDI RC has Wi-Fi video transmission, which is great if your child wants to take photos and videos while flying. The propellers are shielded behind circular guards, perfect for beginners who are going to crash this drone a few times and don't want to damage the propellers. The LED lights are a great addition and are great fun to watch when flying at night. What's Great About It: This drone can do 360-degree flips and other tricks, making it a diverse option for your child. It also has headless mode, so you don't have to worry about re-positioning every time you take off. 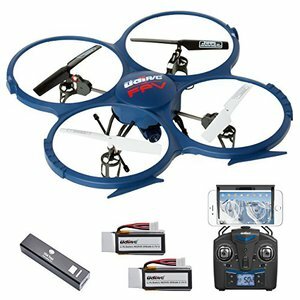 For kids that want a professional looking drone at an affordable price, the Cheerwing CW4 may be just what you are looking for. 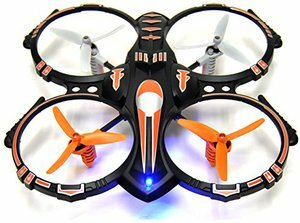 This drone has been made with beginners in mind, and is very durable. 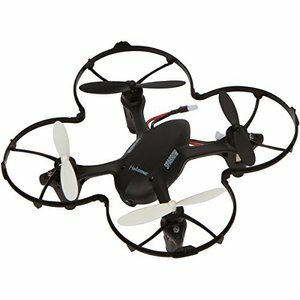 The propeller guards allow your child to fly this drone without fears of damaging it. What's Great About It: Its one-key takeoff and landing function makes operation a breeze for kids learning to fly. It also has altitude hold mode so you can take your photos easily. This unit has a unique appearance, resembling a large spider, and has its propellers under the quadcopter. 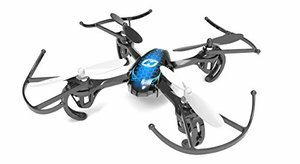 This drone is great for both indoor and outdoor use, and is easy for kids to handle if they are just starting out. What's Great About It: The motors are very responsive, so it can be a bit tricky to get used to when you first start flying, but once you have the hang of it, you will love flying this drone. If your child is a drone enthusiast, the USA Toyz drone is something you may want to look at. This drone is the perfect beginner unit for teenagers who are serious about aerial photography. The 2 megapixel camera automatically transmits the images to a mobile device, so your child can review their images in real time and adjust their position to get the best shot. What's Great About It: The drone come with an extra battery and power bank, so your child can have hours of fun. This quadcopter has the longest flying time on my list. 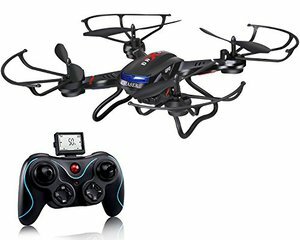 This mid-range drone is ideal for drone enthusiasts with any level of experience, making it perfect for the whole family to enjoy. This quadcopter has four sensitivity modes, so you can change the handling based on the user's experience. What's Great About It: This drone is very reasonably priced, and has a 2 megapixel camera that can take photos and videos. It can also do flips and other stunts, promising hours of excitement. This one is not quite a drone, but it is a fun flying device that your kids will love. Epoch Air’s Flying Ball is a tiny disco ball with propellers on top. 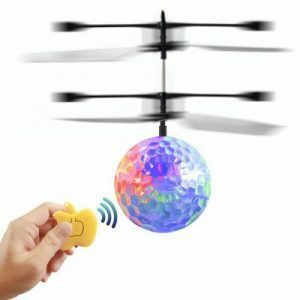 It doesn’t do much aside from fly and emit multicolored lights, but it’s a great device for younger kids to join in the fun. What's Great About It: The ball has a motion sensor, and by placing your hand underneath it, the toy will fly higher. It is also remote controlled, so your child can easily fly it around and have fun navigating an obstacle course. If you want a drone with great features without a huge price tag, the Helizone Sparrow Mini Drone is worth looking at. This little quadcopter can do things that more expensive drones can do, so it’s a nice starter unit for parents who don't want to spend too much on a drone. What's Great About It: It can flip, take videos and photos, and even return home with just a single press of a button. What makes it even better is its excellent radio frequency, allowing you to control the unit up to 100 meters away. Another smaller quadcopter option is the SYMA X1. It features a sturdy central body with flashing lights that make the unit look fantastic. The three-axis flight control allows you to fly in all directions, and it has indoor/outdoor mode. What's Great About It: Controlling this drone is a breeze and your child won’t have to worry about a transmitter that can easily cause crashes. Since drones are now commercially manufactured for general use, you can find really solid units that have sophisticated features. You won't need a complicated drone when your children start out, as they can be tricky to use. I picked models that are easy to operate, so your younger children can enjoy flying. 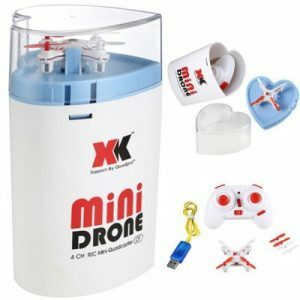 Your kids will undoubtedly crash their drone a few times before they get the hang of flying, so investing an a drone that is made from durable materials, and has a sturdy build which will be able to withstand a few knocks. Additional features often come at a much higher price and aren’t necessary if you just want to acquaint your child with a flying toy. I added a number of products with cameras and extras for those who are looking for a few more features from their drone. Many times with drones you will need replacement parts, as your child will crash the drone as they learn. 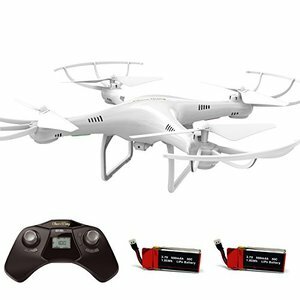 Select a reputable brand that has parts available for your drone and offers great after sales service. Many parents are left wondering whether they should get a drone or a remote control helicopter for their child. Drones are relatively new in the industry, whereas helicopters have been around for many years. Both are classified as unmanned aerial vehicles (UAV). 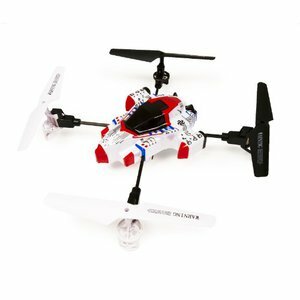 RC helicopters are simply toy helicopters that are equipped with a motor and controls to allow you to move them up, down, left and right. Drones are more sophisticated and are equipped with more features that make them far more diverse. Drones are easier to control and many fly back to its receiver once the signal is lost. Many drones are also equipped with cameras, which helicopters don't have. The biggest difference between the two is that drones can hover, while RC helicopters can't stay in one place. Due to this, drones are great for kids who want to use their aerial device for photographs and videos. Some drones are subject to the rules and regulations of the FAA (Federal Aviation Association). It’s very important to know if the drone you intend to buy is subject to these regulations. Drones for kids are often exempt, as they don’t qualify for registration as they don’t meet the 0.55 pounds (250 grams) and 55 pounds (25 kilograms) requirement for such. Being such sophisticated toys, a lot of parents think twice about getting a drone. As these toys are packed with technology, a lot of parents worry whether their child can take good care of it. Luckily, most drones are made to be durable and can take quite a few knocks. And if a part does break, they are normally easily replaceable. It can improve your little one’s motor skills. Operating a remote control to direct the flight of the drone takes a lot of hand-eye coordination, so it will challenge their dexterity. Navigating through obstacles will also improve their concentration and patience. It can introduce them to the world of electronics, technology, and robotics – which are all excellent fields of work that they can specialize in. Drones are excellent ways to get your child interested in STEM. Drones are showing great potential, and being able to operate them may give your child a leg up in the field. It gives them a real world challenge. Getting your child a drone can expose them to real world challenges, which will allow them to learn the value of things. Real-life crashes will have a different effect on your child compared to on-screen crashes. There are also custom built drone kits available, where you child can construct their own drown, giving them a hands-on experience with their drone. Exploring the back garden or a local playground is great for your child's development, but flying through the air and discovering the world from above will fulfill a different part of your creativity. Drones are a fantastic toy to get your children outside and interacting with the world from a different perspective. Not only is a drone a fun toy to play with, but it helps develop different skills such as hand-eye coordination and patience. Although they are a bit more expensive than many other toys that you may consider; your child will get endless hours of enjoyment from discovering the world from a birds eye view.